The Amphitheater is a secluded venue with a capacity for performances, contests, and other large scale events. 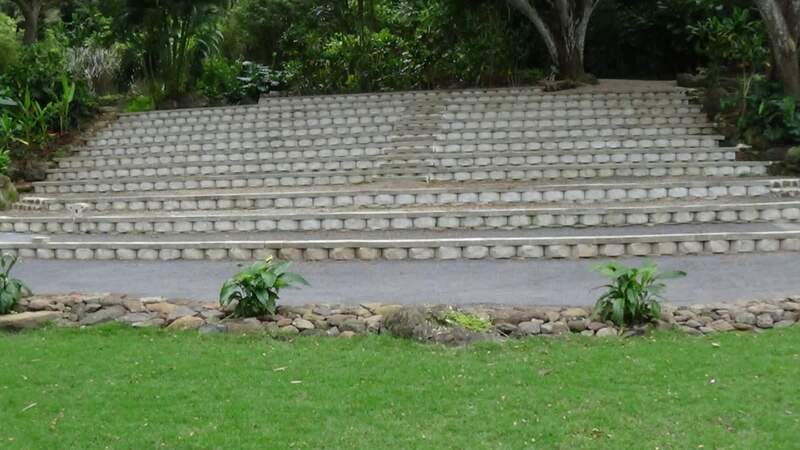 The oval shape space has tiered keystone block seating with a grass stage in the center. 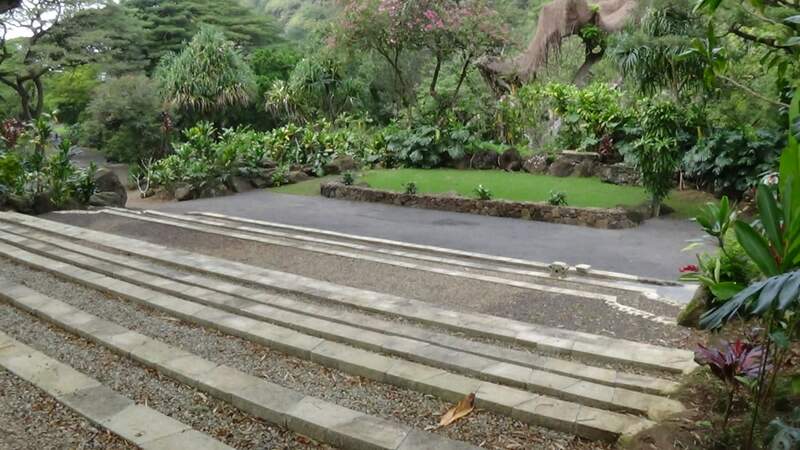 The Amphitheater’s stadium like look is tucked away under bamboo groves and monkey pod canopies that can also accommodate an intimate wedding ceremony with Kalahe‘e Ridge as your backdrop.